The event director has closed online registration for this event. You can still register at the event! Register by Friday, March 1 to receive the Early Bird discounted rate! Only individuals who register by March 1 will be guaranteed a t-shirt. Please select "Timed" if you would like an official time for your race. Please select "Untimed" if you plan on walking and/or do not want an official time for you race. Children (Ages 10 & under) - FREE. Children's t-shirts can be purchased for $10. Children 10 and under will not be timed. If children would like to receive an official time, they must complete regular registration. 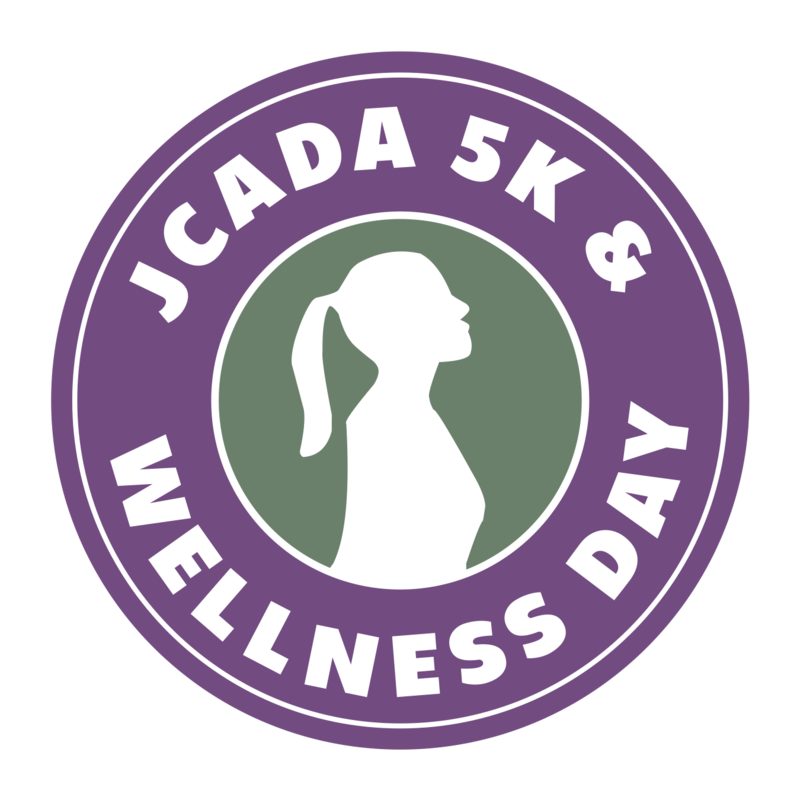 Run or walk with JCADA to promote healthy relationships and help end power-based violence in our community! After the race is concluded, don't run away - stay and participate in JCADA's Wellness activities, including a sneak peak of AWARE®'s core workshop, It's Not Love®. Also meet JCADA's many community partners and learn how they help make the greater Washington DC area a healthier and safer place! 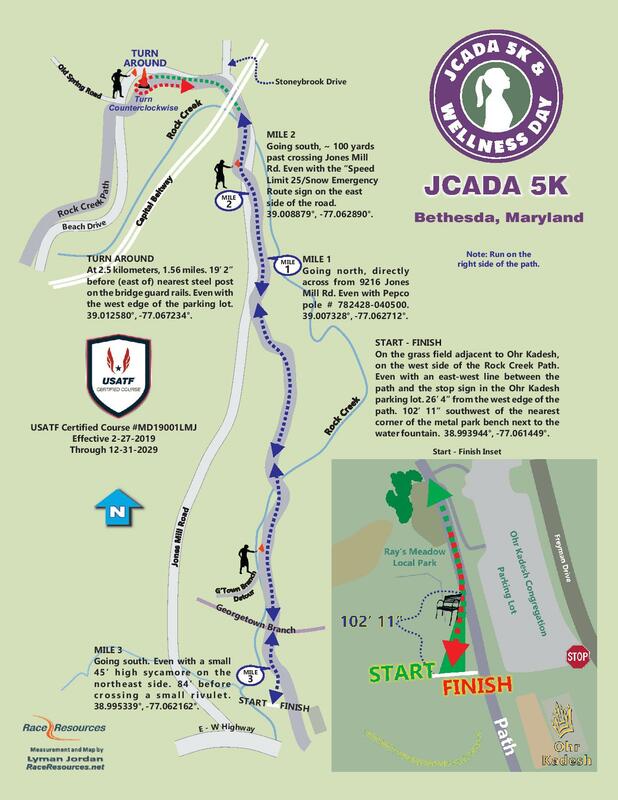 JCADA 5K Waiver Sunday, April 14, 2019 In consideration for the opportunity to participate in the activities (the “Activities”) related to the JCADA 5K (the “Event”), I agree as follows for myself, and for my child(ren) who participate and/or attend with me: I AM AWARE AND UNDERSTAND THAT THE ACTIVITIES ARE DANGEROUS AND INVOLVE THE RISK OF SERIOUS INJURY AND/OR DEATH AND/OR PROPERTY DAMAGE. I HEREBY AGREE TO ACCEPT AND ASSUME ANY AND ALL RISKS OF INJURY, DEATH OR PROPERTY DAMAGE, ON BEHALF OF MYSELF AND MY CHILD(REN). 1. I hereby waive and release, for myself, my child(ren), my heirs, executors and administrators, any and all rights, claims, liabilities and causes of action whatsoever I or my child(ren) may have against JCADA, its affiliates and the Event operators and sponsors and each of their respective officers, directors, employees and agents (the “Event Parties”) relating to or arising from my or my child(ren)’s participation in the Event, including but not limited to personal injury, whether arising out of the negligence of the Event Parties or otherwise. I covenant not to make or bring any such claim against the Event Parties. 2. I hereby indemnify and hold harmless the Event Parties from and against any and all claims, suits, actions, loses, damages and expenses related to or arising from any claim by a third party related to the Activities. 3. I hereby give my consent to the Event Parties to use my and my child(ren)’s name and photographs, video and film (“Photos”) of me and/or my child(ren) taken before, during or after the Event in advertising and promotional materials for JCADA, including but not limited to the Internet, without compensation. I agree that no advertising or other material need be submitted to me or my child(ren) for approval. I agree that all Photos of me and/or my child(ren) used by JCADA and its affiliates are owned by JCADA and they may copyright material containing same. I hereby release, discharge, and agree to save harmless the Event Parties from any liability, including, without limitation, any claims for libel or invasion of publicity/privacy, by virtue of any use of my or my child(ren)’s name and/or Photos, including, any alteration of such Photos, whether intentional or otherwise. I have read and understand this Release, and declare all information is truthful and accurate.